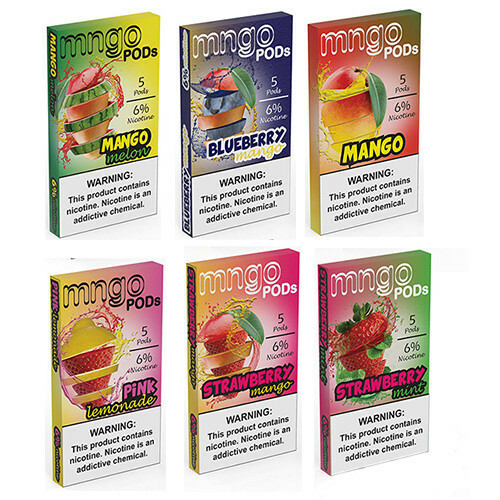 TAKE YOUR TASTE BUDS ON A TRIP WITH THE MNGO REPLACEMENT FLAVOR PODS THAT'S COMPATIBLE WITH THE JUUL! FEATURES IN A 1ML PRE-FILLED POD AT 60MG (6.0%) OF NICOTINE SALTS! WHY NOT HAVE BEST OF BOTH WORLDS WITH BLUEBERRY COMBINED WITH MANGO?